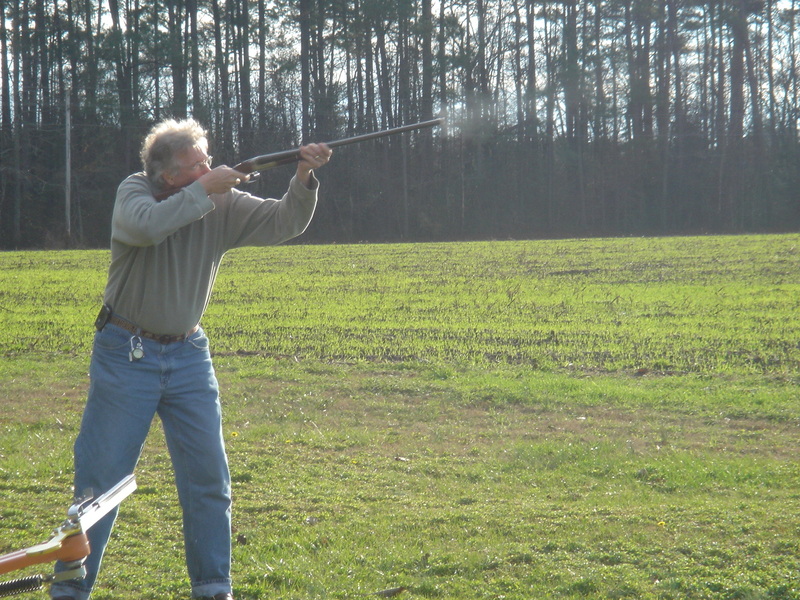 The great thing about living in the country, like my family does, is that you can go out behind the house and shoot clay birds and not bother anyone. 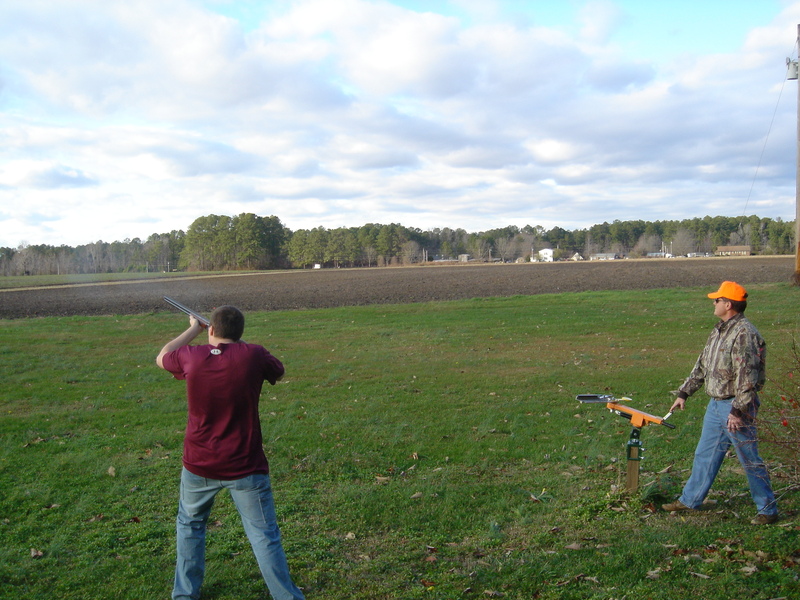 December 28th of this year was an unseasonable, shirt-sleeve day…my son Jason and my dad went to the store and picked up a box of 90 clay birds and 100 shot shells. We got the trap out of the barn, and mounted it on the post where we usually shoot, right behind my mom & dad’s house. We shot well, though the day was windy, with some “junk” on the birds, and despite the fact that Jason nor I had fired a shotgun in about a year. Here are a couple of pictures, first of Jason, then of me. Finally, a short video of Jason (with my dad pulling the trap). Sorry about the wind noise on the audio, it was really gusting a couple of times there. This entry was posted in Family, Shooting on December 29, 2008 by joel.